Experimenting mood is my special visitor. Coz, usually the experiments turn out good. It may be since I’ll be too cautious as a first timer. 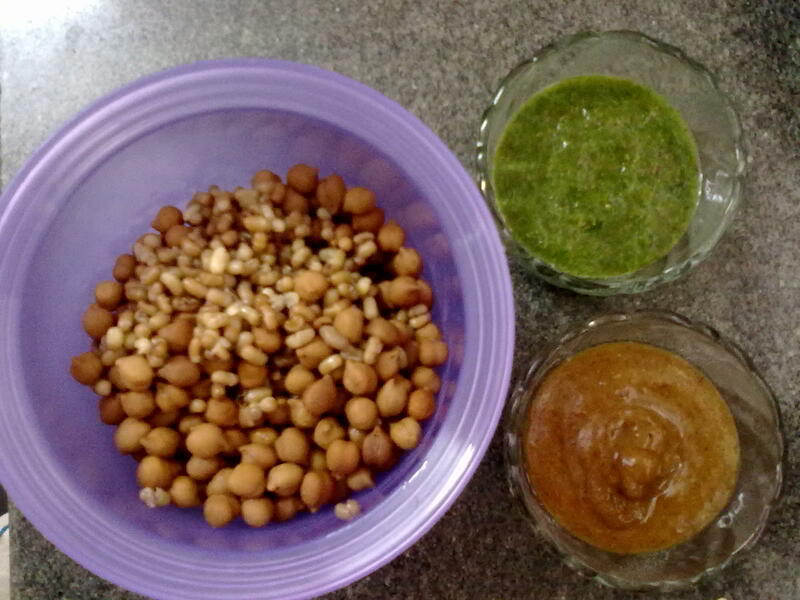 This Wednesday, amma and appaji had been out, and it was my turn to cook for the day. My bro in law, his kid and my Nithin were at home. I wanted to prepare something for the evening snack and I recollected this chat which I saw on a TV show a few days back. I felt it messy since I had to deal with sticky maida flour as I was meddling with it for the first time. But my cooking paid off thoroughly when all of them enjoyed the chat. 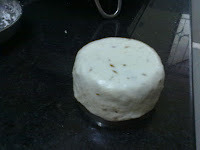 In this one, the uniqueness lies in edible katori. Roll out kneaded dough to make small chapati and stick it around a small straight edged bowl as in picture and put it carefully in hot oil for deep frying. The steel cup can easily be removed from oil with the help of a spoon once the dough outside the bowl is half done. Dough will retain its cup shape. Once the whole Maida Katori turns golden brown, remove from the pan and place on some tissues to remove excess oil. 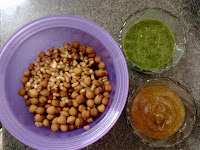 • Decorate with a few drops of green chutney and serve. Add sev/chips as an option.